Makati City – Dynamism and optimism. Metro Blogger is all about this. It is about building bridges to connect people and events. Communicating what is news-worthy to people that finds worth in reading events places and faces. In Mr. Jess C’s (www.mrjessc.com) speech regarding Metro Blogger and Fashion Evolution, he emphasized the need to connect bloggers and blogging to the wider reading public. Says Mr. Jess C, “Fashion Evolution is an opportunity for young designers and model-aspirants to experience the energy of a major runway production”, Fashion Evolution is Metro Blogger’s initiative in bringing fashion trends, designers and model-aspirants together under one roof to help expose their talents and skills in their respective fields of expertise. Aside from exposing talents and skills in the catwalk, Fashion Evolution is a benefit show for Bantay Bata 163. BB163 is ABS-CBN Foundation’s child-welfare arm that helps abused, victimized, maltreated, sick and underprivileged children. 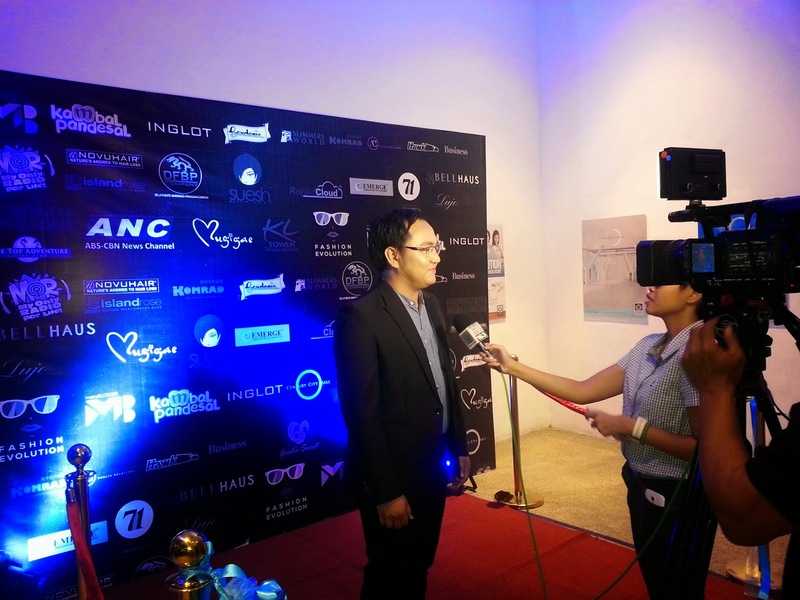 Mr. Jess C, Metro Blogger’s Founder thanks the partners and sponsors of Fashion Evolution: Metro Blogger Edition successfully held last March 28, 2015 at Century Mall’s Event Centre. 2. 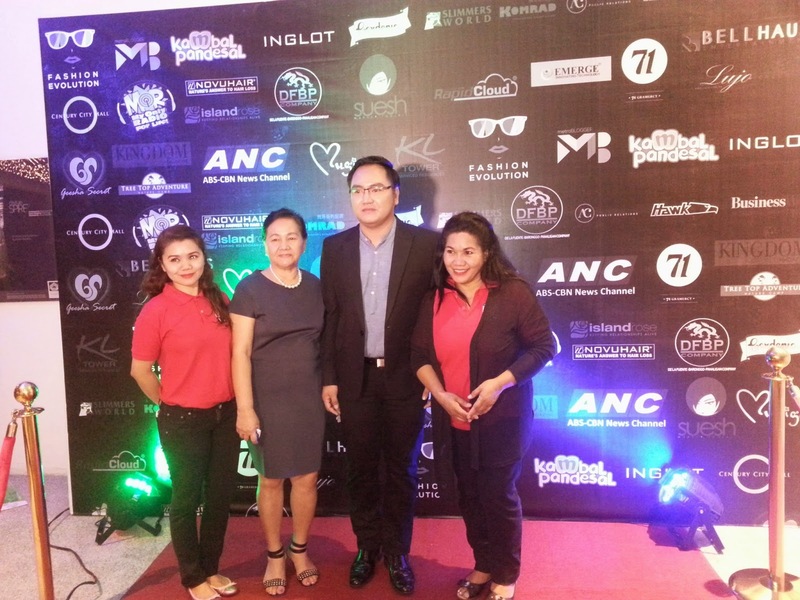 RapidCloud Philippines (www.rapidcloud.ph) - part of RapidCloud International Plc which provides enterprises with the building blocks to create a powerful and complete online presence. 11. Bellhaus Entertainment (www.bellhausentertainment.com)- a company who is equipped to provide you entertainment through creative communications with an evolved set of tools from experienced staff, well-trained artists, efficient business systems and models, the latest platforms and state of the art facilities. 12. Inglot (www.inglotphilippines.com)- Founded over 30 years ago in a small town of Przemyśl, INGLOT Cosmetics is now one of the world’s leading manufacturers in colour cosmetics. INGLOT currently has a presence at all major beauty happenings and events around the globe, from the runways of Fashion Week to the stages and sets of TV and Broadway musicals. 13. Novu Hair (www.novuhair.com)- Nutramedica develops, markets, and distributes pharmaceutical, nutraceutical, and biocosmetic products in the Philippines. Founded in 2004, Nutramedica was one of the first companies to market virgin coconut oil (VCO) in the Philippines. Today it is known for its comprehensive range of oral and injectable pharmaceutical lines, food supplements and cosmetic products. Nutramedica currently enjoys success both locally and abroad as it continues to build on its vision of becoming the community’s trusted ally when it comes to healthcare and wellness needs. 14. Island Rose (www.islandrose.net)- Since 1984, Island Rose has been an award-winning supplier of fresh cut flowers to the most prestigious Philippine florists, hotels, restaurants and wedding coordinators. In the year 2000, the www.islandrose.net website sparked a revolution in the Philippine flower industry and e-commerce retailing! 15. Lujo Jewelry (www.lujo.com.ph)- Lujo Jewelries, un lujo al alcance de pocos! (Lujo Jewelries, a luxury available to few). Creating the finest jewelry focused not only on giving online retail services but also with providing a wide and integrated range of services from designing, conceptualization, production and delivery of your precious luxury. Lujo Jewelries provides for top-of-the-line jewelry items such as Class Rings, Graduation Rings, School Rings, Military Rings, Championship Rings, and Corporate Jewelry in the Philippines. 16. Gardenia (www.gardenia.com.ph)- Since Gardenia Philippines started operations in 1998, it has set the bar in bread manufacturing in the country with a state-of-the-art bread factory operating highly automated equipment from Germany, Holland, U.K. and U.S.A. Over the years, Gardenia has successfully cemented its position as one of the, if not the, country’s top quality bread makers. 17. Kambal Pandesal (http://www.kambalpandesal.co)- Kambal Pandesal Bakery Business is a company that operates in partnership with San Miguel Corp. Kambal Pandesal bakery is a registered Trademark by San Miguel Corp.
18. DFBP Company (http://www.dfbp.co)- The De la Fuente – Baronggo – Panaligan Company is a futuristic group of company. Manage by internationally trained and world class standard team professionals headed by Richard Panaligan de la Fuente, the first Filipino who enters Louis Vuitton Middle east as Visual Merchandising Manager for Global store in the middle east, under Europe zone and Visual merchandiser and window specialist of Uranio Overseas Bureau FZE for DIESEL and other Big brands. – an up-coming fashion magazine dedicated purely to fashion and fashion trends and events. 20. ArdentComm Public Relations (www.ardent.com.ph)- a company specializing in providing the necessary expertise to help boost any organization’s visibility within the industry. 21. Slimmers World International (www.slimmersworld.com.ph)- the Philippines’ foremost name in Slimming, Health, Fitness and Beauty with over 35 years of excellent service in providing great bodies & great skin. 24. Ms. Marissa Aquino (www.facebook.com/maliha.manjusri), Head, hair and make-up artist – the brains behind the chic and fabulous make-up of the models, designers and VIP guest.